Welcome to Policing & Security Management Services Inc.
Policing & Security Management Services Inc. is an independent public safety and security management consulting firm specializing in professional standards, best practices, and risk management in the protection of persons, property, and corporate assets for both the public and private sectors – especially in high risk areas. 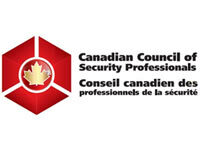 Core services include threat, vulnerability and risk assessments, quality assurance audits, physical security surveys, workplace violence prevention, and specialized conflict management training for a range of employees who can expect to face confrontational threats and risks inherent in their job functions. There are a multitude of life safety and security models and options available. As an independent consulting firm, our senior management consultants are unbiased in assessing your strategic and operational security requirements. Recommendations are based on best practices, due diligence, your level of risk tolerance, and relevant legislation. Through our services, we objectively assist you to establish, select, review, improve, or realign your current public safety or security model to meet your corporate and organizational needs in a cost effective manner. We currently serve clients in the Greater Toronto Area, Hamilton, London, Ottawa, Waterloo Region, Windsor, Northern Ontario, the Atlantic provinces and across Canada. Please contact Policing & Security Management Services Inc. to address your safety and security needs in confidence.